Waterman Reflex fountain pen from the mid to late 1990s. This is the blue Da Vinci version with the Mona Lisa on it. Fine gold plated steel nib. Near mint in box. 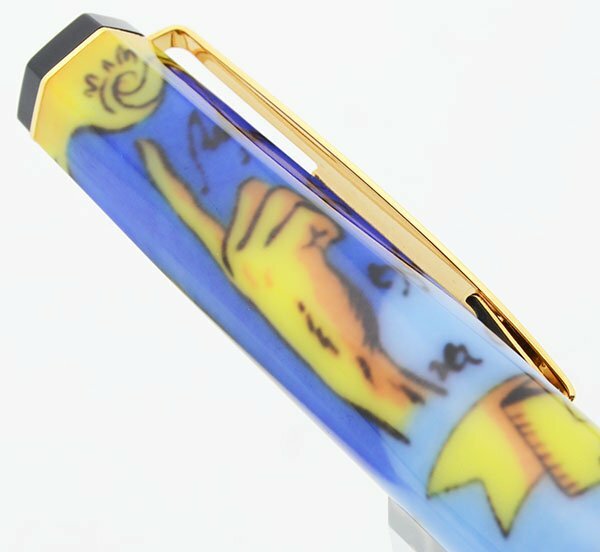 Unusual example of an entry-level pen that has become quite collectible. 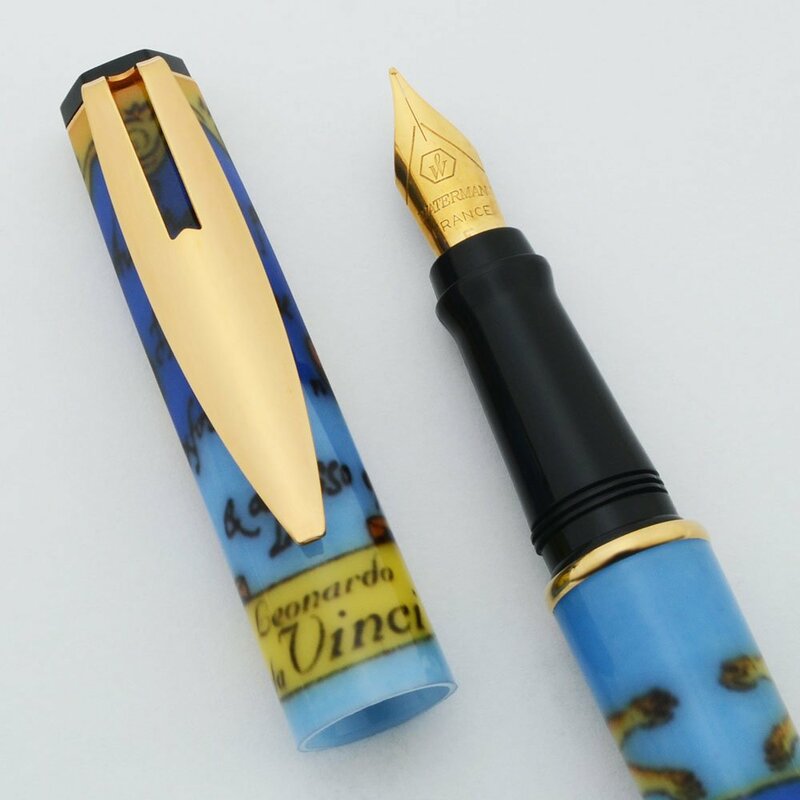 Type Cartridge/converter filling fountain pen. Product Name Reflex, this is one of the Da Vinci designs. 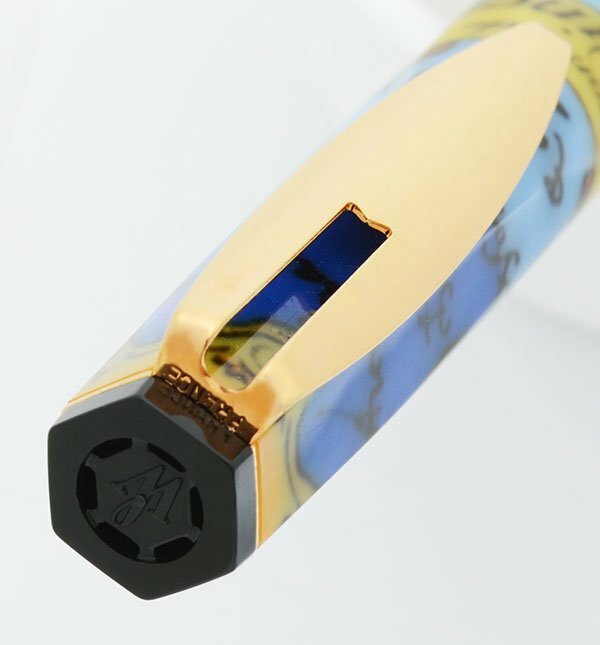 Pen Hero has a nice article about the pen, noting that it has become quite collectible. Manufacturer and Year Waterman, France -- 1995-2000. Filling System Waterman branded cartridges and converters fit best but international-style cartridges and converters do work. 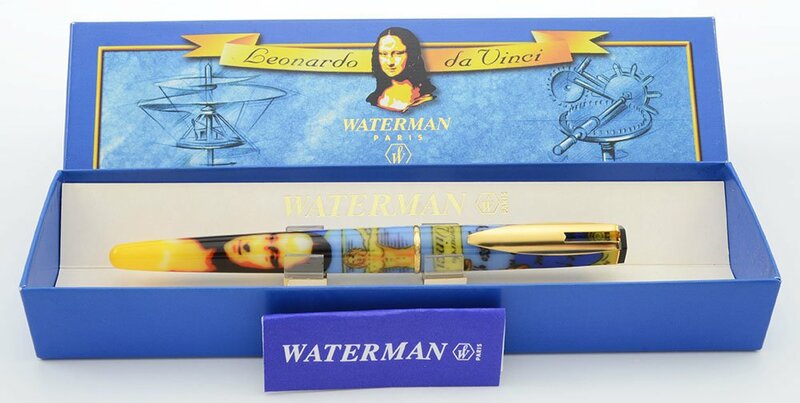 The pen will ship with an unused Waterman cartridge. Color Translucent plastic with the Mona Lisa on it and other Leonardo Da Vinci decorations. It is predominantly blue and yellow. It has gold plated trim. Nib FINE gold plated Waterman France steel nib marked F. It is smooth and firm. Condition Near Mint condition. There is some slight handwear but otherwise the pen looks new. In most lighting the handwear isn't even visible. THe pen ships in its original box and is working well.